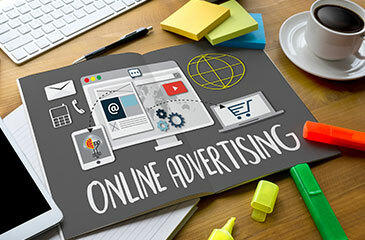 This article will show you how to advertise online in Nigeria. So you have a website or mobile app and you are really anxious to get visitors to your platform. You might already know the three main tactics to get visitors to your web platform. You can either tell your network about it (ie, word of mouth, social media); try to be there when other people are asking about you (ie, search engine optimization); or just advertise your website to people who might be interested. That last method is by far and away the fastest and most scalable right away, but it’s hard to do right. Here’s how to advertise your website online effectively in 5 steps. These are the three ways of paying for your advertisement. With CPM (ie, cost per thousand impressions) – you pay a set rate every time your ad is shown. With CPC (ie, cost per click) – you pay a set rate every time your ad is clicked. And with CPA (ie, cost per action) – you pay every time someone who clicks your ad does something on your website. By far and away the most common is going to be CPC. You only want to use CPM or CPA if you know what you’re doing, but it’s good to know that they are out there. For me – what really makes digital advertising so much better and more interesting than traditional offline advertising is that you can track everything. And thanks to Google Analytics . *Note that I’m assuming that you are tracking your website’s data. If not then skip this step. So let’s dive in and look at tracking. In order to get the most data from the people who click on your ads – you’ll need your ads to be fully trackable, and to pass data over to Analytics. If you are using AdNaira, be sure to go to Preferences and Turn ON Auto-tagging. Otherwise, when you are setting up a campaign – don’t just input the URL of your website or landing page into the URL – add parameters to the URL to help Analytics understand your ad visitors. Parameters are little snippets added onto the end of a URL. They don’t affect the user or ad, but simply tell your Analytics where the visitor is coming from, so that you can track and test your advertising. When you see an ad string – it looks complicated, and hard to build, but try a free URL Builder tool here that you simply must use. Basic rule of running an ad campaign – unless you have a very good reason – never send your visitor to your homepage. Send your visitor to a page specifically crafted to match whatever was being advertised. If you are using a CMS like WordPress (like you should, and if you aren’t, you should get a web developer to assist you here). You should set up specific landing pages for every single type of ad you’re running. Pro tip – setting up unique landing pages with keywords matching your ads also helps lower your costs on AdNaira by increasing your Quality Score. Your landing pages should include AdNaira conversion codes, and even though they don’t have to be as beautiful – they should be unique. Look at landing pages as part of building your ad campaign. And this extends to blog promotion as well. Don’t send people to your home page or main feed. Promote specific posts – and send those ads directly to those posts. This whole system feeds back into itself and never ends.You learn new ad concepts and different keyword strategies by using different ad platforms and watching your Analytics like a hawk. You can improve the effectiveness of your landing pages by watching your best performing ads. You can improve the performance of your ads by watching your best performing landing pages (whether it’s a pure landing page, blog post, or product page). The point is that you can’t just set a campaign and forget it. Learning how to advertise your website online is all about starting (not planning forever), getting data, and adjusting. It’s sort of a ready, fire, aim approach. You can set a low budget, test, then ramp up when you find something that works by watching your Analytics like a hawk. This post covers just the tip of the iceberg when it comes to how to advertise your website online. What you need to do now – is start.